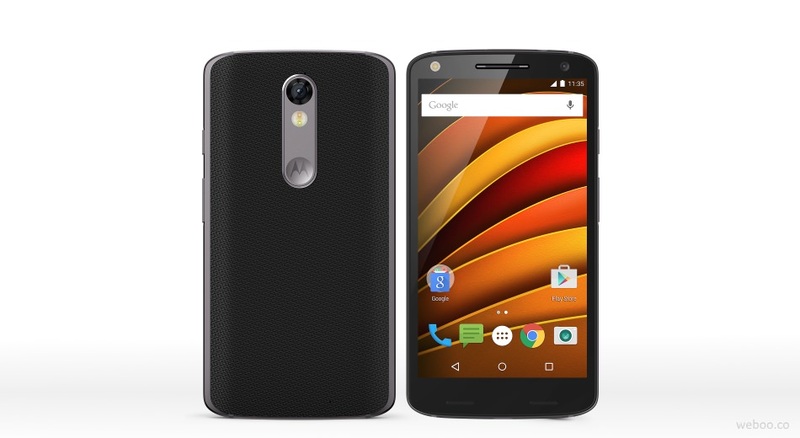 Motorola’s Moto X Force was announced back in October 2015 and is currently available for sale in Europe. Now consumers in India are about to get their hands on the Moto X Force, presumably in the next few days. The device is listed on Amazon.in as “Coming Soon” with the option to get notified once the phone gets launched. 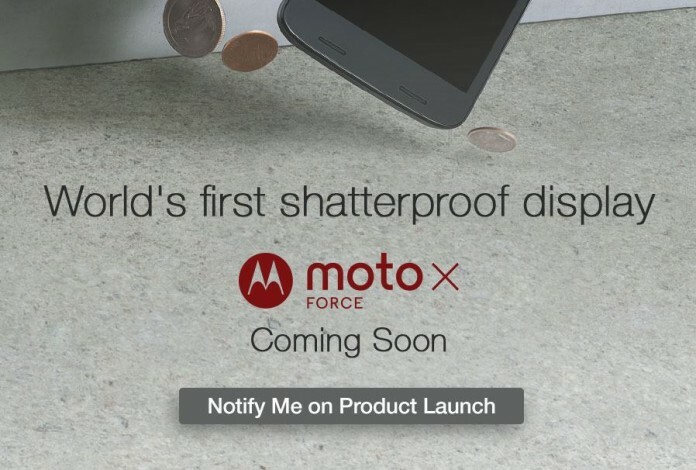 The Moto X Force is the world’s first phone to feature the Moto ShatterShield technology and has a Shatterproof display. Ideal for clumsy consumers and those who drop their phones quite frequently. The Moto ShatterShield technology is an integrated system consisting of five-layers designed from materials that absorb shock from impact and are proven not to crack or shatter. The integrated system maintains touch performance and structural integrity over the life of the Moto X Force. Specifications wise, the Moto X Force is equipped with a water-repellent 5.4-inch Quad HD AMOLED (2560 x 1440px) touch display with 540ppi guarded by advanced nano-coating technology. Under the hood, there is an octa-core Qualcomm Snapdragon 810 processor clocked at 2.0GHz and paired with Adreno 430 GPU for graphics and 3GB LPDDR4 RAM. Additionally, there is a high density 3760mAh battery giving you two days of usage. The TurboPower charging delivers up to 13 hours of battery life in just 15 minutes. The Moto X Force is also equipped with a 5-Megapixel front-facing camera along with a 21-Megapixel rear camera allowing the capture of beautiful, true-to-life images in any light condition. Although there is now word on pricing, the Moto X Force is expected to have a similar price to the one on sale in Europe, which is priced at £499 in the UK and €699 in some other EU countries. One thing is certain, the Moto X Force will ship with Android 5.1.1, Lollipop when it goes on sale in India in the next few days.